I have yet to find a vegan herb and garlic cream cheese I absolutely love, so I’ve been making my own. 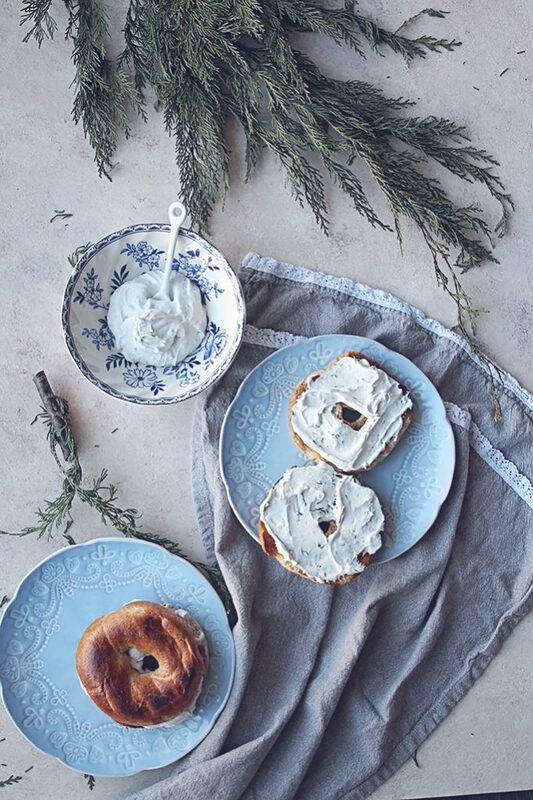 I loveeee bagels and find they are so easy when you’re rushing out the door or have guests over and don’t have a second to make anything fancy. 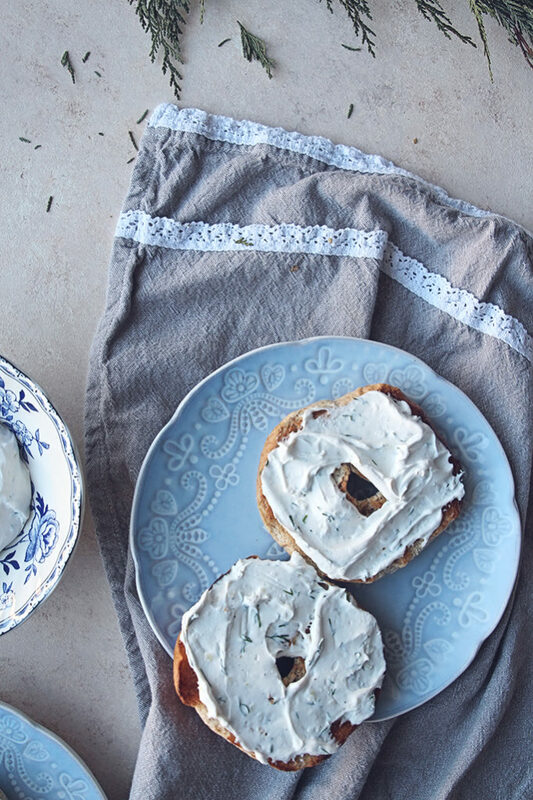 I’ll be the first to admit it– I hate plain cream cheese and the vegan ones seem to be even a little more blah than the non-vegan ones. I found the brands made from coconut taste way too much like coconut when I’m wanting something savoury (even the herb and garlic tastes like coconut–not good). So in order to get a cream cheese that suits my picky taste buds, I use the tofutti brand in plain, add garlic, dill, salt and pepper and make it as homemade as it’s going to get over here. 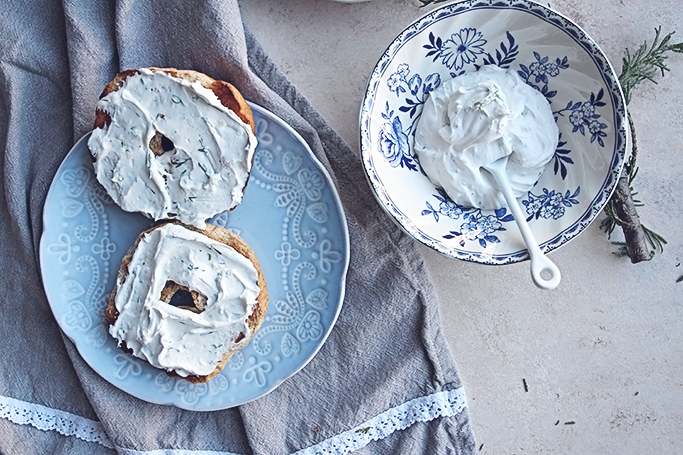 Slap that on an everything bagel and you’re set–promise. You can also make a cashew cream cheese with soaked cashews but I personally prefer the creaminess of this processed goodness. We believe in moderation over here. Hope you have a lovely day and thank you so much for being here. Mix everything together in a small mixing bowl. Add everything back into the original container and use as needed. 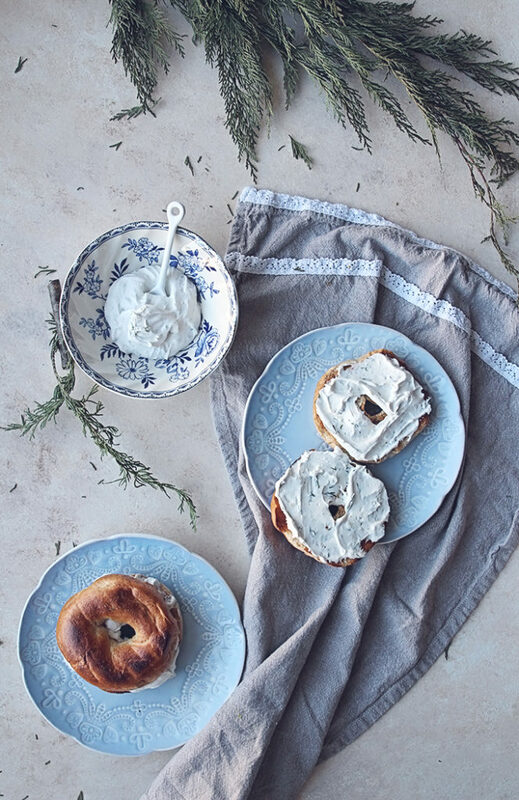 Serve on your favourite toasted bagel (we love everything bagels), rice cakes or sandwiches.